I was back from Korea, feeling like the loser in a bloody boxing match. My faith in humanity had been badly shaken and the people I thought were my closest friends turned out to be...not. Ironically, during this time, my best friend seemed to be my soon-to-be ex-wife. But it felt strange confiding in her now. Sometimes it was better to speak to a total stranger. I spent more and more time on the internet, meeting people who were always available and never accountable. It was my bandaid. I marketed my poetry to them and they liked it. 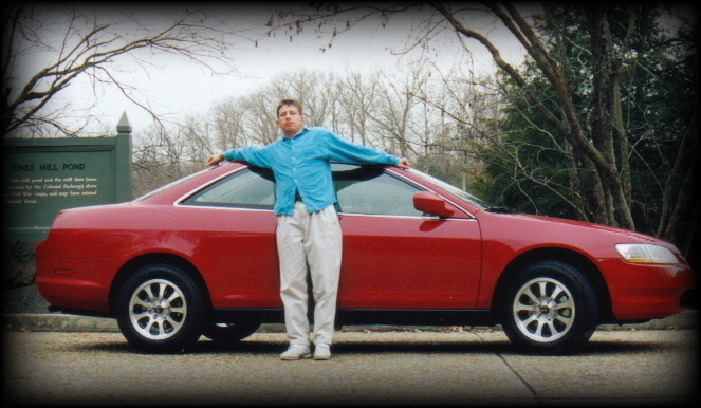 For my birthday this year, I drove up the Colonial Parkway and posed with Alexandria, my new car! She was my divorce present: Very fast, very comfortable, very red.